Jerry Duncan McInnis died peacefully at his home on April 12, 2019, at the age of 90. He grew up in Poole and Ravenna. He graduated from Nebraska Wesleyan in 1950, and then attended Candler School of Theology in Atlanta, Georgia, and was ordained in 1957. He married Jolene Albert in Culbertson on May 24, 1954, and they had four children Suzanne, Timothy, Thomas, and Beth. In his ministry, he served six United Methodist Churches in Nebraska for 29 years, as well as churches in Tennessee, Georgia, and Minnesota. His last appointment was Trinity United Methodist Church, from which he retired in 1991. His interest varied from gardening to world travel. A major interest was genealogy, and he was fascinated by language and a student of several. Survivors include his wife Jolene; three children Suzanne Peterson, Thomas McInnis, and Beth Minter; five grandchildren; five great-grandchildren; his sister Joanne Scott; and nieces and nephews. He willed his body to the University of Nebraska Medical Center for research. Memorial service will be held at 11 a.m. on April 16, at Trinity United Methodist Church in Lincoln. In lieu of flowers, memorials to Trinity United Methodist Church or Oglala Lakota College, Kyle, SD 57752. Milton Carver, 85, departed his earthly home on Thursday, April 4, in Seguin, Texas. After serving four years in the US Air Force, Milt found a successful career as an industrial mechanic at American Stores and Dorsey Laboratories (Novartis). He looked forward to his eternal inheritance at the near side of the Almighty. He is preceded in death by his dear wife of more than 61 years, Juanita, and his older daughter, Cathy, along with many other members of his extended family and a good company of friends. He is survived by his only son and younger daughter, along with seven grandchildren and three great-grandchildren. We will all greatly miss his perpetual humor, his song for every occasion, and his ability to fix just about anything on the planet! The family extends an invitation to his services at 10 am (with visitation at 9 am) on Wednesday, April 17, at Lincoln Memorial Funeral Home. Coby Lee Mach passed away on Friday, April 12, 2019, in Lincoln. He was born to Richard and Bea (Campbell) Mach on May 2, 1965, in Fairbury. Coby was a radio announcer and LIBA president. Survivors include his wife Lorie; daughters Sara and Reanna Mach, both of Lincoln; parents Richard and Bea Mach of Salina, Kan.; sister Kristy McGrath of Salina, Kan.; and niece Hannah McGrath of Wichita, Kan. Preceded in death by sister Tylee. Funeral service will be held 1 p.m. Wednesday, April 17, at Messiah Lutheran Church, 1800 S 84th Street. Visitation will begin 10 a.m. with family greeting friends from 5-7 p.m. Tuesday, April 16, at the Roper and Sons South Lincoln Chapel, 3950 Hohensee Drive (SW corner of 40th and Yankee Hill). Burial will take place in Narka, Kan. Memorials to Lincoln Crisis Pregnancy Center, 111 Piazza Terrace Lincoln, NE 68510, or People's City Mission, 110 Q Street Lincoln, NE 68508. You may live stream the service at livestream.com/messiah. Condolences at roperandsons.com. Gretchen A Timmer lived in Lincoln primarily from 1976-1984. She taught music at Beattie and West Lincoln elementary schools, and accompanied the chorus at Pound Junior High. She received her master's in music education and piano at UNL. Gretchen is survived by her daughter; Elizabeth Nelson (a graduate of Lincoln Southeast HS). Please visit www.ponderosavalleyfunerals.com. Corbin James Pletcher, 32, of Lincoln, passed away on Wednesday, April 10, 2019, at his home in Lincoln. He was born January 22, 1987, at Offutt Air Force Base in Bellevue. Survived by mother, Sherril (Louis) Miller of Weston; father, Ronald (Deb) Pletcher of Ashland; siblings, Loraynia (Robert) Kearns of Bellevue, Kate (Jeffery) Hazelton of Papillion, Gregory Pletcher of Lincoln and Silas Miller of Lincoln; good friends, Conner Kellogg of Lincoln and Hope Mahoney of Tecumseh; niece, Raven; nephews, Sayer, Jason and Carson. Gathering of family and friends: 6-9 p.m. Thursday (4/18) at American Legion #129, Ashland. Memorials in care of the family to be used for Wahoo High School golf or band. Visit www.marcysvoboda.com to leave condolences. Janice Holdsworth (Schaaf) passed away April 5, 2019 in Chandler Ariz. She was born February 12, 1941 in Juniata. She is survived by her son Chad Holdsworth and son-in-law Kent Eller (California), her daughter Angela Zang and son-in-law Christopher Zang, and her grandchildren Colin Zang and Brooke Zang. She was preceded in death by her parents John and Helen Schaaf and brother Richard Schaaf. In lieu of flowers, memorials to Phoenix Children's Hospital in Arizona and Cedars Home for Children in Lincoln. Memorial service was on April 13, 2019 in Chandler, Ariz. Gravesite services: 10 a.m. April 20, at Lincoln Memorial Cemetery, 6700 S.14th St. in Lincoln. Suzanne Tewell Wagner, 88, Lincoln, passed away April 4, 2019. She was born in Sidney on January 26, 1931, where she grew up. Her friends called her Suzi. Suzi graduated from the University of Nebraska with a teaching degree. She then taught English and history in the Kearney public school system. At UNL she was a member of Pi Beta Phi Sorority. For the rest of her life she was always a very active and reliable Pi Phi alum, contributing her time and talent to whatever needed to be done. Suzanne met her husband Elliot E Wagner and they married on May 7, 1955. They remained married for the next 63 years. She spent her life as a Lincoln resident, a wife, a mother, a homemaker and a volunteer. Suzi was a small woman with a big heart. She always thought of others before herself. Active in the arts community, she served as a docent at Lincoln's Sheldon Museum of Art for 25 years (1979-1986, 1988-2006.) She was also a long-time member of the Nebraska Art Association. Suzanne chaired the membership committee for the Lincoln Community Concerts Association for ten years (1974-1984); that organization presented outstanding cultural events to Pershing Auditorium audiences such as Van Cliburn, Beverly Sills, Al Hirt, and many others. One year she posed as Nobel Prize recipient Barbara McClintock in a huge UNL biology class, and no one doubted her authenticity. Suzi was an avid bridge player and adored playing solitaire. She was a member of multiple bridge clubs in Lincoln for decades. She was a voracious reader of murder mysteries, and made regular trips to the public library to replenish her stock. Suzanne was a member of a small group of close couples who annually celebrated both summer anniversaries and New Year's Eves together. She was a magnificent seamstress. As a woman small in stature who had trouble finding her size, she created most of her own clothes. She also enjoyed needlepoint and quilting almost daily. Suzi was highly intelligent, vivacious, witty and fun loving; a true friend to many who enjoyed giving of herself, her time, and her very special gifts to others. She regularly doted on her only child and her beautiful granddaughters, and talked about them often. Suzanne was preceded in death by her father, Nebraska district judge James L Tewell, her mother Pauline (Wesner) Tewell, and her brother William H Tewell. She is survived by husband Elliot E Wagner, son Jed S Wagner, and granddaughters Lauren A Wagner and Sierra W Breton. Rudy R. Sloup, 84, of Wahoo, entered into eternal rest peacefully at his home on Saturday, April 13, 2019. He was born March 1, 1934, in rural Prague to Rudolph and Agnes (Chromy) Sloup. Rudy attended District 51 country school and graduated from Prague High School in 1952. On June 11, 1955, Rudy was united in marriage to Helen Marie Stuchilk at St. John Nepomucene Catholic Church in Weston. In his early years, Rudy worked for the Ordinance Plant in Mead. For over 40 years, he worked for Wahoo Oil until his retirement. After his retirement, he worked for Sid Dillon. He is survived by his sons, Rudy (Betty) Sloup of Fort Gratiot, Mich., Bob (Nancy) Sloup of Wahoo, Joe (Teri) Sloup of Lincoln, Tom (fiancée, Laurie Loseke) Sloup of Columbus, Dan (Ginger) Sloup of Wahoo, and Bil Sloup of Wahoo; 21 grandchildren and 15 great-grandchildren; sisters, Agnes (Don) Kasper of Omaha, and Karen (Neil) Barry of Weston; brother, Harvey (Loretta) Sloup of Omaha; brother-in-law, Larry (Betty) Stuchlik of Lincoln; sister-in-law, Lorene Stuchlik of Weston; many other family members and friends. Rudy was reunited with his bride of 63 years, Helen Marie Sloup, 36 hours after her death. He was preceded in death by his parents, Rudolph and Agnes Sloup; great-grandson, Gavin Murphy. Mass of Christian Burial, 10 a.m. Tuesday, April 16, at St. Wenceslaus Catholic Church, 214 E. 2nd St., Wahoo. Celebrant, Rev. Joseph Faulkner. Visitation, 5-7 p.m. with 7 p.m. rosary all Monday, April 15, at St. Wenceslaus Catholic Church. Private interment. Memorials to St. Wenceslaus Catholic Church. Visit www.marcysvoboda.com to leave condolences. 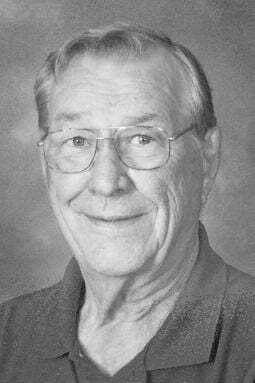 Gerald “Jerry” Lawton, 75, Raymond, passed away April 10, 2019. Born July 3, 1943 in Hastings to Merle and Isabella (Lipman) Lawton. U.S. Army veteran. Farmer. Jerry was a member of the Ceresco United Methodist Church, American Legion Post 244 in Ceresco, Nebraska Limousin Association, Valparaiso Cemetery Board, former Ceresco Town Board member and past member of Raymond and Ceresco Fire Depts. Funeral service: 11 a.m. Tuesday (4-16) at Ceresco United Methodist Church, 421 North 2nd Street. Burial in Oak Creek Cemetery, Raymond. Memorials to the family for future designation. Visitation from 2-8 p.m. with family present from 6-8 p.m. Monday at Roper and Sons, 4300 ‘O' Street. Condolences online at Roperandsons.com. Daryl D. Burch, age 78, of Lincoln, passed away April 5, 2019. He was born January 10, 1941, in Parkersburg, Iowa, to Howard and Jessie (Olthoff) Burch. Daryl was a U.S. Army veteran serving his country from 1959-1961. In 1971 he started his career as a tax accountant, and was the founding member of Burch and Associates. Mary Ann Cahoon, 86, Lincoln, passed away March 25, 2019, quickly with no fear or pain. She was born August 1, 1932, to John and Marie Schwabauer. It's very hard for the ones you left behind and the only good to come from this sadness is that you are now with Christy and your mom's and dad's. Survived by Allen, Ben, Tom, Scott, Shane, Abry, Hunter, Kinston, Kylie, Phoenix, Patti, Mike, Tina and so, so many more. We all wish you great things in the start of your next journey. Julie Bakk passed away on March 30, 2019, at Sumner Place. The memorial service was held on April 2, 2019, at MiddleCross Church. Please visit aspenaftercare.com to leave condolences. Melva Jean Hartshorne, 90, of Lincoln, passed away on April 11, 2019. Born on October 18, 1928, to Raymond and Blanche (Callam) Slater in Pawnee City. Melva enjoyed everything about cooking. She was so interested in it, she worked most of her life as a cook, bartender, waitress, catering, etc. She enjoyed all kinds of needlework in her spare time as well as a game of golf with her husband, Alan while they lived on a golf course in both Wisconsin and Florida. Family members include her daughter, Gwendolyn Meister and husband, Bill Behmer, Lincoln; son, Melvyn and wife, Margie Meister, Las Vegas, Nevada; step-daughter, Deborah Meister, Hillsville, Virginia; sisters, Arlene and husband, Phil Tyler; Doreen Johnson; Waunita McKnight; brother, John and wife, Cathi Slater; three grandchildren, two step-grandchildren and many numerous extended family and friends. She is preceded in death by her parents; husband, Alan; brother, Robert Slater; sister, Iona Richardson. Helen Marie Sloup, 81, of Wahoo, entered into eternal rest peacefully at her home on Thursday, April 11, 2019, in Wahoo. She was born August 15, 1937, in Wahoo to Edward and Helen (Busek) Stuchlik. Helen attended District 28 country school and graduated from Weston High School in 1955. On June 11, 1955, Helen was united in marriage to Rudy R. Sloup at St. John Nepomucene Catholic Church in Weston. She worked for Fairview Café for 17 years, J.C. Penny's for 10 years and over 30 years at Wahoo Warehouse Surplus and Nebraska Bridal Outlet. She is survived by her sons, Rudy (Betty) Sloup of Fort Gratiot, Mich., Bob (Nancy) Sloup of Wahoo, Joe (Teri) Sloup of Lincoln, Tom (fiancée, Laurie Loseke) Sloup of Columbus, Dan (Ginger) Sloup of Wahoo, and Bil Sloup of Wahoo; 21 grandchildren and 15 great-grandchildren; brother, Larry (Betty) Stuchlik of Lincoln; sisters-in-law, Lorene Stuchlik of Weston, Agnes (Don) Kasper of Omaha, and Karen (Neil) Barry of Weston; brother-in-law, Harvey (Loretta) Sloup of Omaha; many other family members and friends. 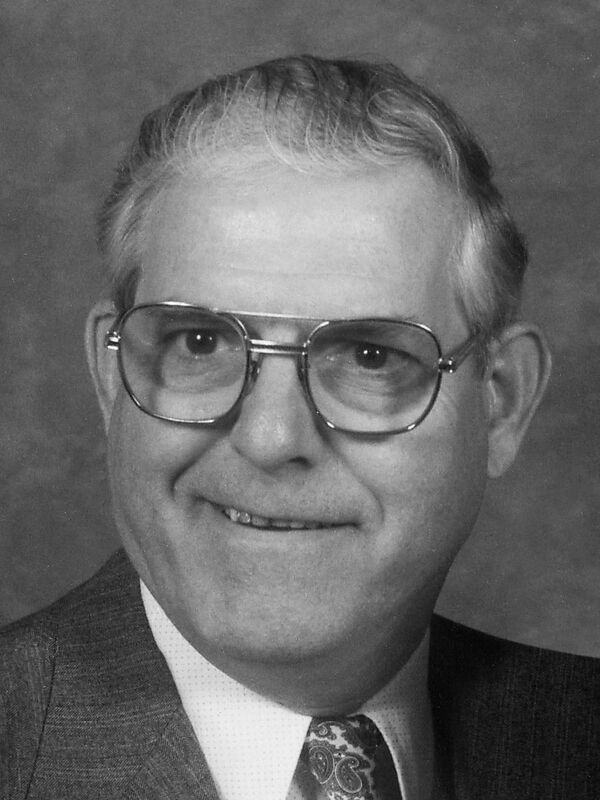 John R. Hruban, 88, passed away in Lincoln on Thursday, April 11, 2019. Born in Omaha to Matt and Albina (Novak) Hruban on December 9, 1930. In his younger years, John raced motorcycles and stock cars. He was immersed in aviation most of his life; as a crop sprayer, flight instructor, charter pilot, and performed acrobatics in air shows. He loved teaching and was proud of his students' accomplishments. John worked for the National Transportation Safety Board in Kansas City, investigating over 580 accidents. In 2013, he received the Wright Brothers Master Pilot Award for 50 years of excellence in pilot safety and expertise. John is survived by his children; Judy, Tony, and Gina, also his wife Elva Pierce, and mother of his children and first wife Jo Ann Hruban. In honor of John, please donate to your favorite animal rescue shelter. Memorial service will be held at 11 a.m. on April 16 at Trinity United Methodist Church in Lincoln. In lieu of flowers, memorials to Trinity United Methodist Church or Oglala Lakota College, Kyle, SD 57752. Phyllis, 92, widow of Theodore, passed away on April 11, 2019. Survived by her sons, James (Debra) Aegerter, Jeff (Darla) Aegerter; daughters, Pamela (Mark) Bronson, Kay (Mike) Hartman; brother, Leon (Shirley) Beckman; eight grandchildren, 10 great-grandchildren. Donnabelle Alice (Royce) King, 88, widow of Rex King, passed away April 4, 2019. Thank you Hospice Community Care of Nebraska for making the end of life as great as it could be. You are the best. A funeral was held on April 9 at Lincoln Memorial Park. October 18, 1936 - April 10, 2019. Services pending with Roper and Sons Funeral Home. Everett L Hier, age 89, Crete, passed away March 31, 2019. A rosary will be held at 10:30 am on Saturday, April 20, at Sacred Heart Catholic Church in Crete. A memorial mass will be held at a later date. Arrangements: Trump Funeral Services, 1600 West "O" Street, Lincoln. Condolences may be left at trumpmemorials.com. Brien Earl Hendrickson, age 86, died on April 11, 2019 in Sun City West, Arizona. Brien was born in Fargo, North Dakota, the son of Lydia and Earl Hendrickson. He attended Lincoln High School in Lincoln. He was a talented sprinter, earning track letters every year of high school and college. He was member of Delta Tau Delta fraternity at the University of Nebraska, graduating in 1955. It was at the University he met his wife, Cecilia TeSelle. In 1955, he was commissioned as an officer in the Army Airborne in Fort Benning, Georgia. He and Cece married at First Congregational Church, Fremont in 1956. He leaves behind his wife of 63 years, Cecilia Hendrickson; daughter, Tari Hendrickson (Clay Naff), daughter Kristan Flynn, son Michael Hendrickson (Laura Hendrickson), six grandchildren, two great-grandchildren and many friends. Bradley Kovar, age 54, of Lincoln, born May 16, 1964, passed away April 11, 2019. Survivors: father, Cyrill H. Kovar, Crete; two children, Sarah Kovar and Aaron Kovar; two sisters, Barb and Jason Eastman, North Platte, Anne and Jason Tidblom, Bennington; brother, Bob and Jessica Kovar, Wichita, Kan.; seven nieces and nephews; 11 great nieces and great nephews. Preceded in death: mother, Jean Kovar; grandparents.